The holy month of Ramadan is fast approaching and the Muslims around the world must be getting ready for this beautiful month. Fasting during the month of Ramadan is about getting close to God (Allah swt), and prayers and good deeds. I personally love looove this holy month. Ramadan is a great month. It is the month in which God revealed the Qur’an as a guidance for the whole of mankind. It is the month which has Laylat-al-Qadr, a night which is better than a thousand months. The rewards for good deeds and charity are multiplied in this month. From among the righteous deeds is the feeding of the fasting person with numerous rewards for this act. We are also rewarded for our duties towards the family – be it cleaning, cooking or running any chores. With this sense of responsibility a major part of Ramadan days, evolves around food. Many types of food will be prepared in the kitchen for the pre-dawn meal(suhoor) and for breaking the fast (ifthar). Im sure, most of them must be busy searching for different ramadan recipes. So, i thought why not post such recipes from now till ramadan gets over. 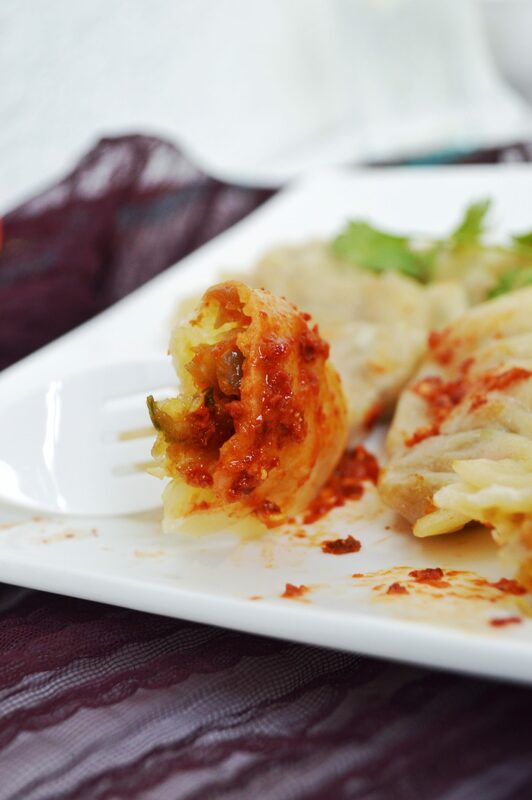 So, here is the first item which is momos. 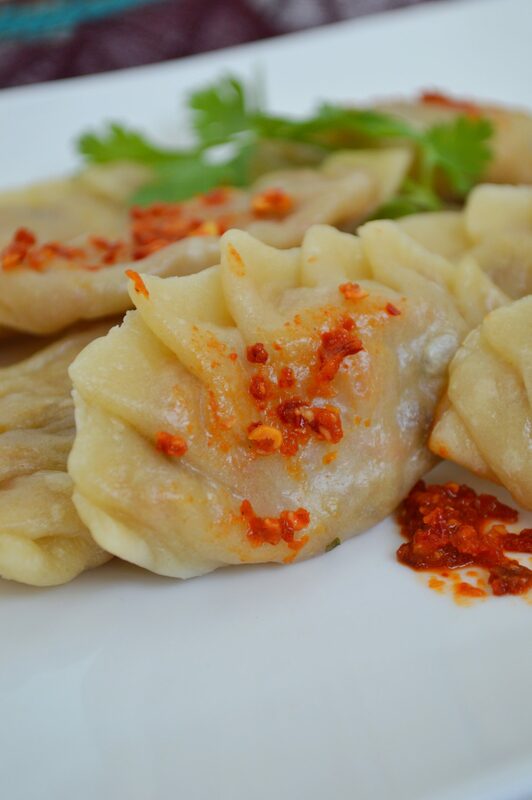 Momos are dumplings native to Nepal, Tibet and the Himalayan states of India. 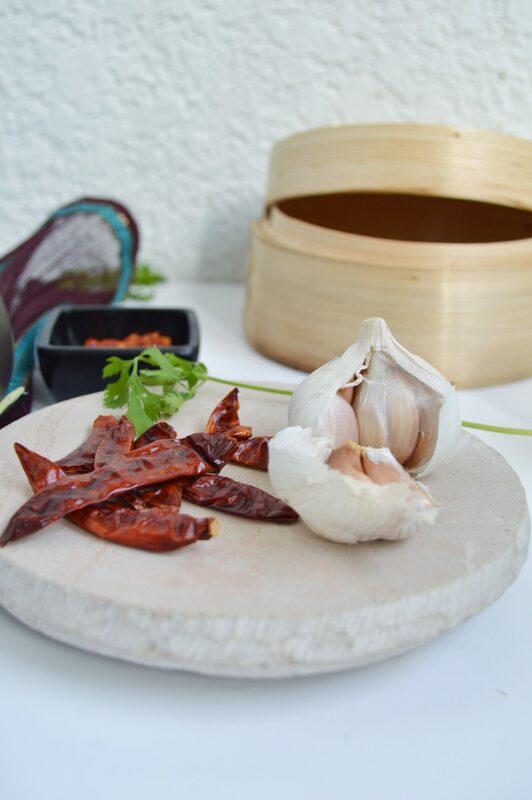 These are steamed or sometimes pan fried and served with spicy tomato or chilly garlic dipping sauce. 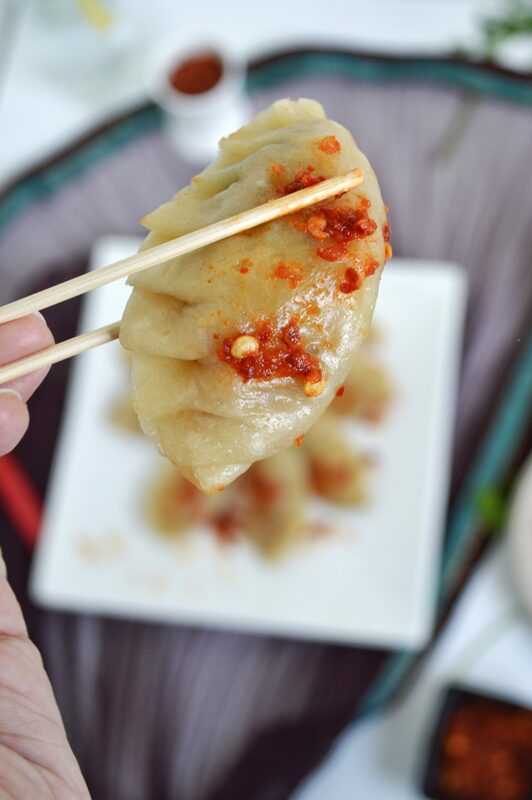 Because most momos are steamed, they are a healthy option for those who wants to have oil free snack. 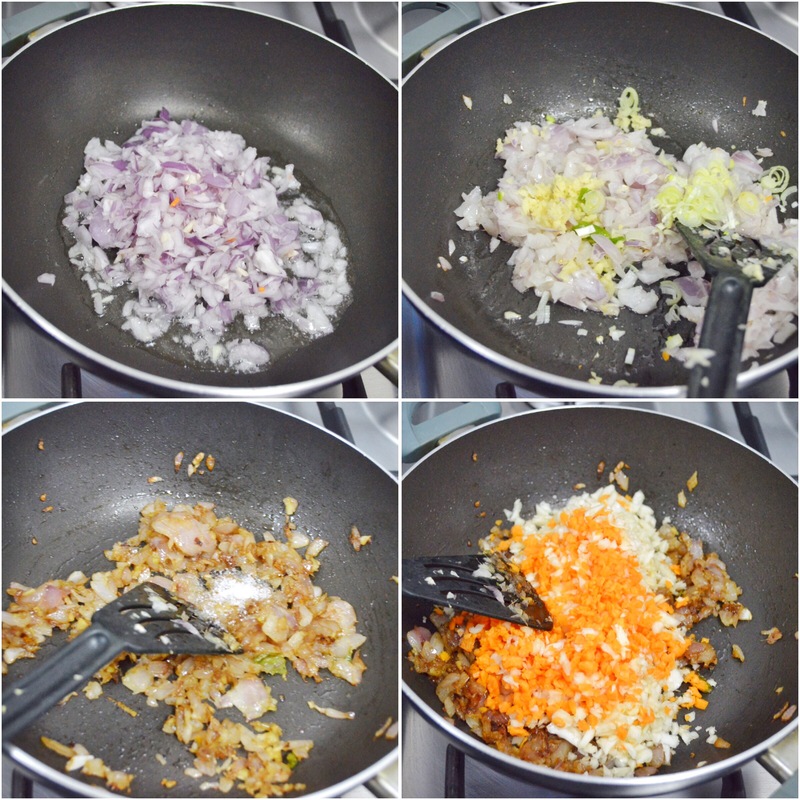 The main fillings include prawns, chicken or meat mixed with onions and spices. 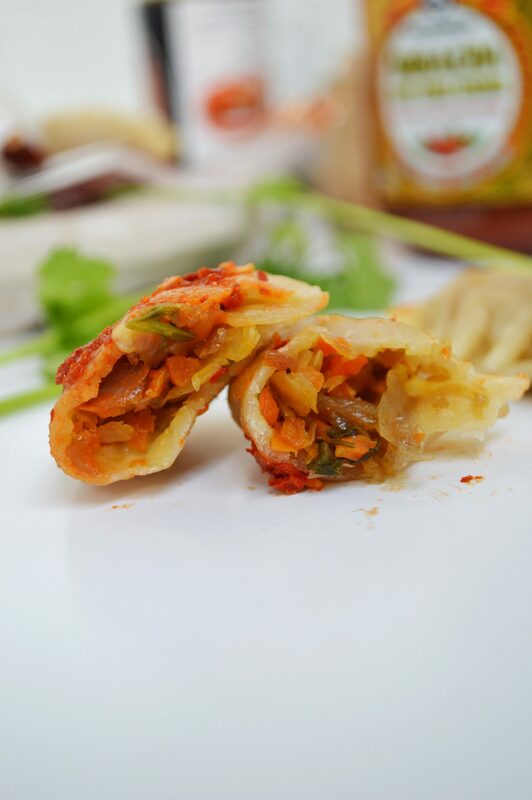 These are made with vegetables and cheese too. I feel it tastes best with the prawn filling. So here goes the recipe. Enjoy! 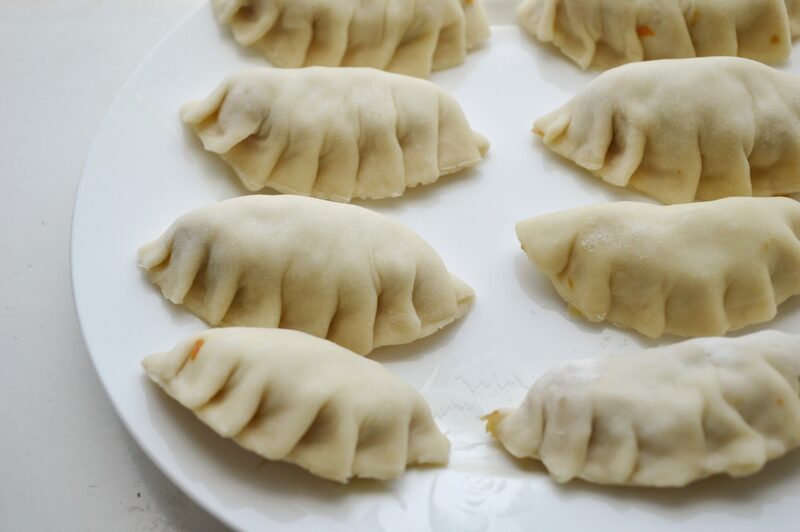 ✔️ You can make whatever shape of the dumplings you want, a purse, cresent or half moon. Make sure you seal the edges very well because the chicken/prawn has to get cooked from inside. ✔️ Oil the steamer rack well or place a piece of aluminium foil on top of the rack. ✔️ You can assemble this ahead of time and freeze it, steaming whenever needed. 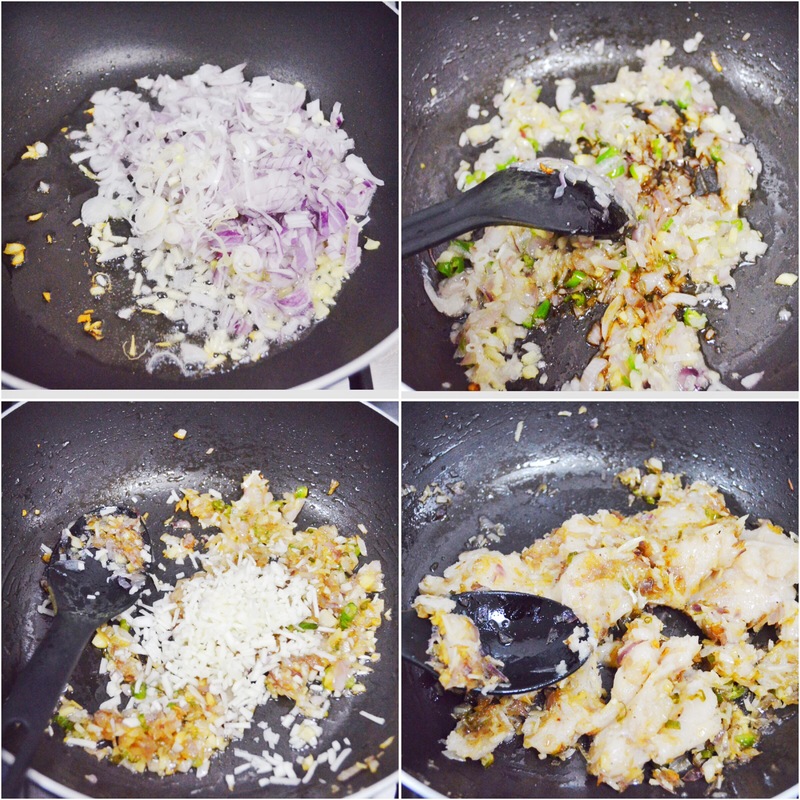 Heat oil and sauté onions, green chillies, garlic and ginger till soft. Add in the soya sauce and vinegar and stir. Add in the sugar and cabbage. Close lid and cook for few minutes. 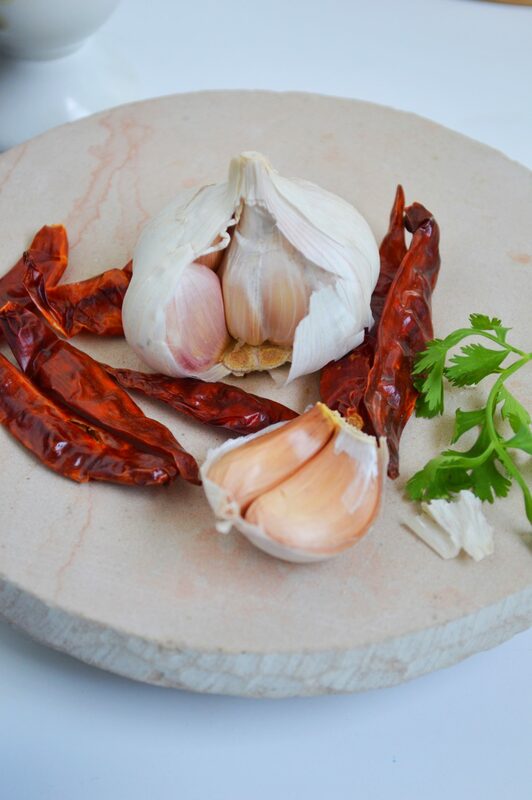 Add salt and pepper and coriander leaves. Take off the heat and mix in the prawn or chicken. Add in the sugar and the veggies. Close lid and cook for few minutes. Stir the salt and flour together. Add in the water or milk and knead until you get a soft, flexible but not sticky dough. Let it rest covered for 30 minutes. Roll out a big ball of dough into a large circle. Using a cutter cut out small circles. Try to make the edges more thinner than the middle. Wet the edges with water. Add a heaping tablespoon of filling in the center and then fold and pleat. Place in steamer and steam cook for 20 minutes. Since i forgot to take the appropriate measurements while making the chutney, i will update this space as soon as i note down the actual measurement. 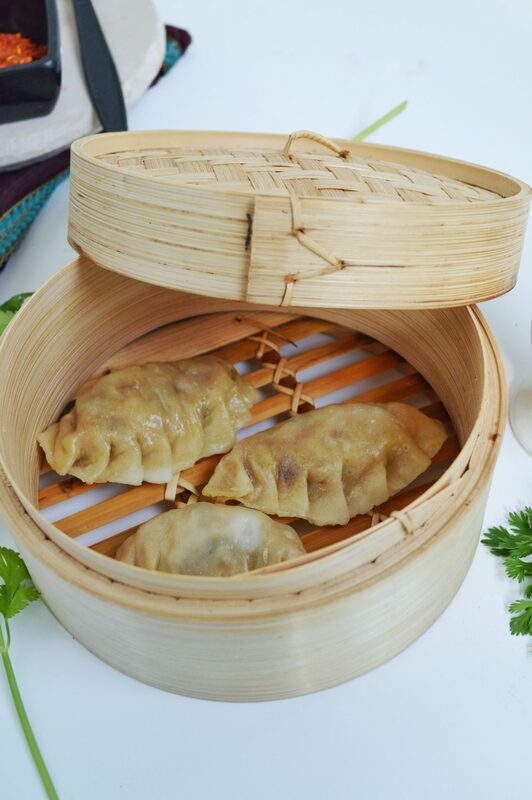 Steamed dumplings with chicken or vegetarian fillings. 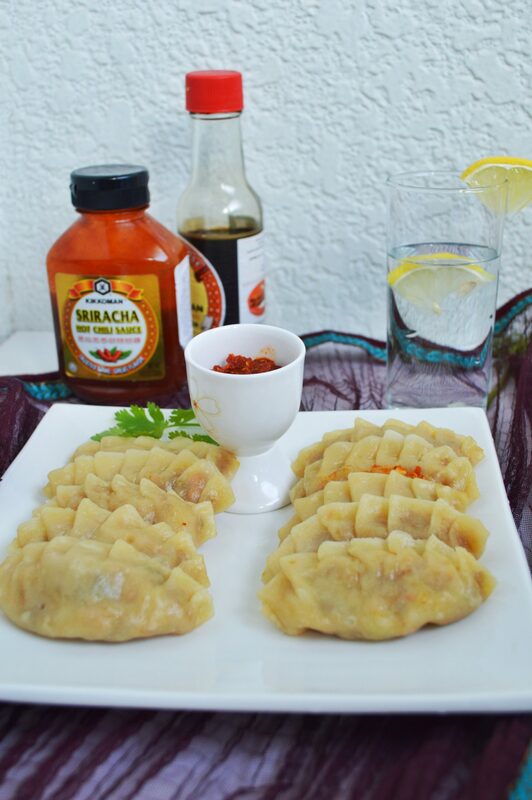 * You can make whatever shape of the dumplings you want, a purse, cresent or half moon. Make sure you seal the edges very well because the chicken/prawn has to get cooked from inside. * Oil the steamer rack well or place a piece of aluminium foil on top of the rack. * You can assemble this ahead of time and freeze it, steaming whenever needed. They look so delicious! Great photos too! This is just astounding Sadia! Loved it sooo much! Happy Ramadaan! Sadia, I’m amazed this is the first time you made these. They look incredible! Your pictures are just beautiful, too. They look so delicious, and I love the sauce you made for them. Thank you for sharing about your holiday. It was very interesting to learn about it. Looks beautiful! Love your photos! Thank you for explaining the importance of celebrating Ramadan! Finally FINALLY some time to browse recipes again! I have been missing it (just been too busy) And wow you really have been cooking up some fabulous dishes. Love this one. So tasty looking. Which flour is it?? Maida or rice flour??? Its all purpose flour, maida. 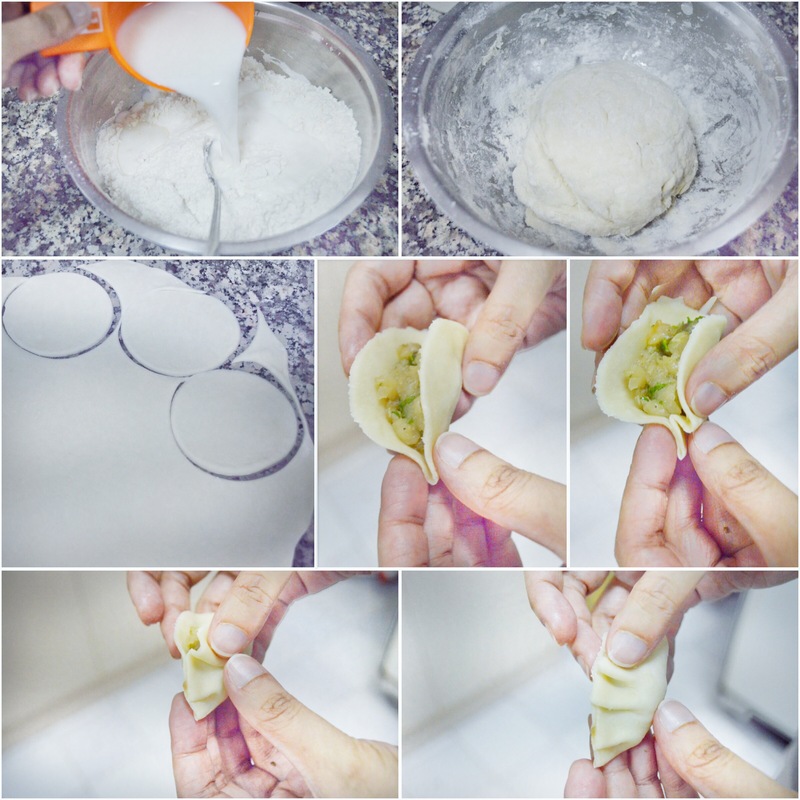 Hiiii…..am bck again….was busy aftr a surgery….momos….!! !yummy..its healthy too..i feel like a balnced diet….tomorrw ,will try for dynamite chicken…need to b more prepared……no wrds to thank u..kp in touch…. Hello Rekha. Hope you are doing good after surgery. Take care of yourself. 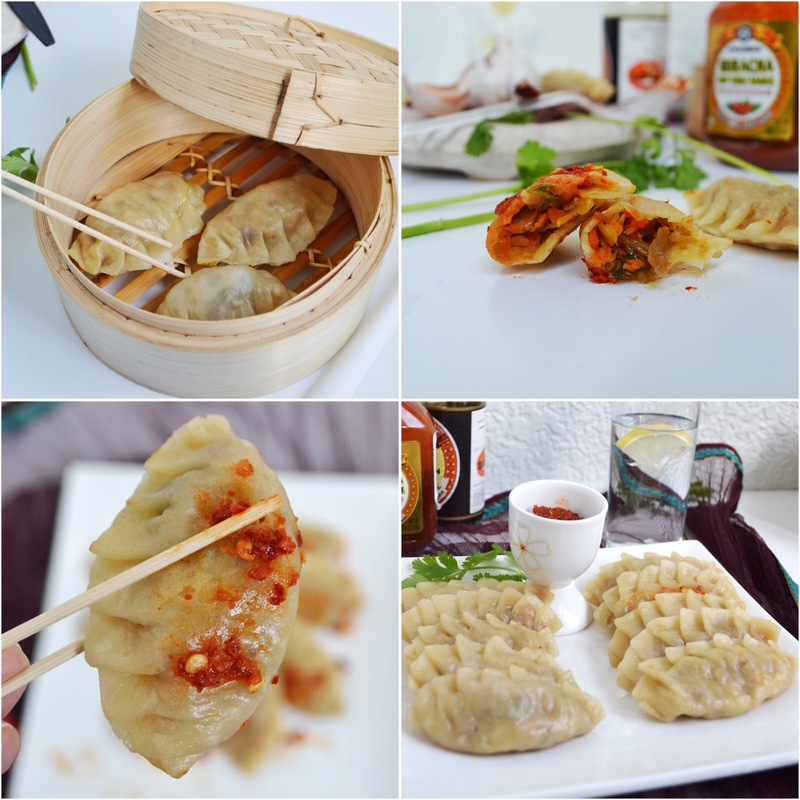 Hope you will like the momos and dynamite chicken. 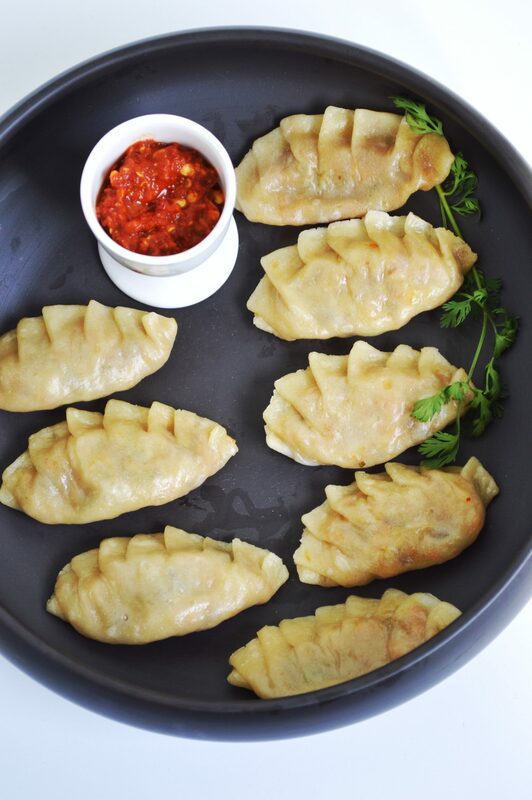 I love all your recipies.. they are absolutely delicious.. i have a small doubt , How many momos can be made in this measurement? Hello! Thank you very much Shanitha. You will get 15-20 momos with this. ‎السلام عليكم ورحمة الله وبركاته Sadia, mashaAllah your recipes are all amazing, I keep following your blog and I have tried a lot of them and الحمد لله they turn out so well. جزاك الله خيراً for that. 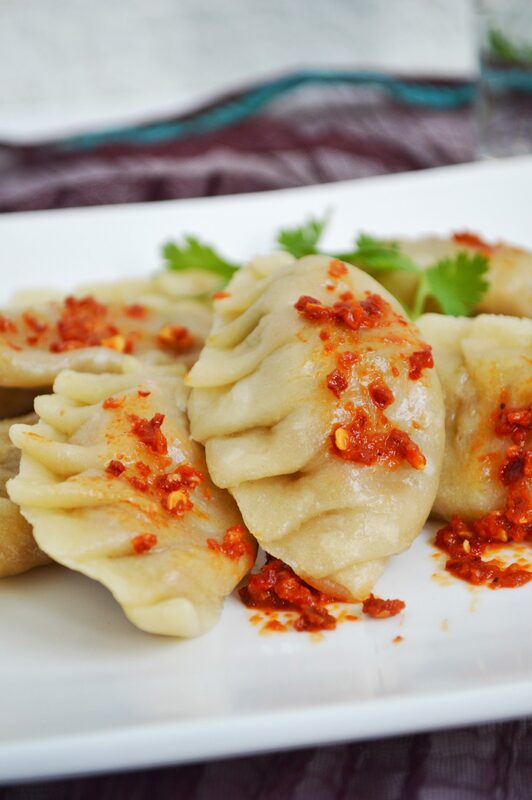 About these momos, they look so appetizing, could you please post the chutney recipe for this? Thanks!! Walaikumsalaam wa rahmatullahi wa barakathuh Maryam. Yes, in shaa Allah I will try to post the chutney recipe soon. And do you have any mutton appetizer recipes? No dear. I do not have anything as of now. In shaa Allah I’ll try to post one soon.